Andres joined VMDO in 2013 and has over 13 years of experience working on multiple projects in varied climates and cultures like China, India, Ecuador, Europe, and the U.S. His experience working across a variety of project types has nurtured his innate curiosity and drive to express the unique qualities of a project and its place through the medium of design. 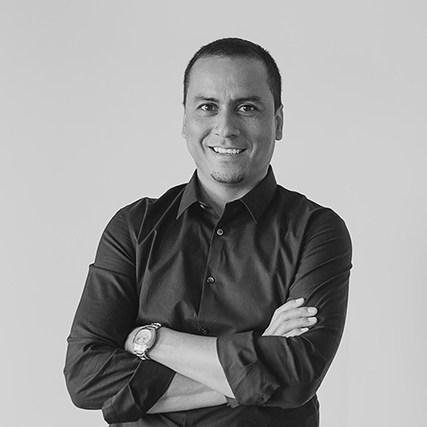 Earlier in his career, Andres worked in Ecuador as a designer for the Guayaquil Historic Park, a project (now built) that sought to express the existing culture and sustain natural habitats through innovations in bamboo construction, adobe blocks, reclaimed wood, and other vernacular construction systems. This experience informed Andres’ appreciation of simplicity in design and economy in material. Also while in Ecuador, Andres worked on a series of comprehensive city projects from stadiums to apartment buildings. Before joining VMDO, Andres worked for eight years identifying and employing eco-effective design strategies for projects across the globe. His designs are attuned to energy flows and to the surrounding terrain to help foster a sense of connectedness between inhabitants and community, as well as between the community and the natural world.